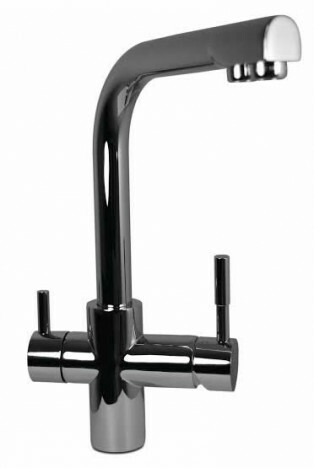 A dual spout, three way tap in modern contemporary styling. Fitted with a diffuser as standard to ensure no splash or spray and designed with a secondary spout dedicated to dispensing drinking water. 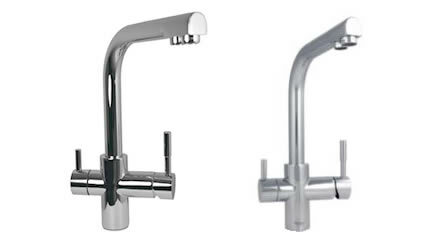 Available in chrome (recommended) or Brushed Nickel.